Fr. Andrew examines the theological developments of the Radical Reformers, and introduces some of the Anabaptist denominations which developed. Following yesterday's pontifical election, Fr. 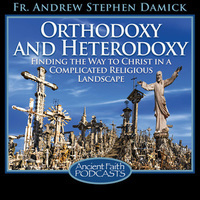 Andrew Damick comments on this most recent event as well as the recent election of Patriarch John X of the Holy Synod of Antioch.